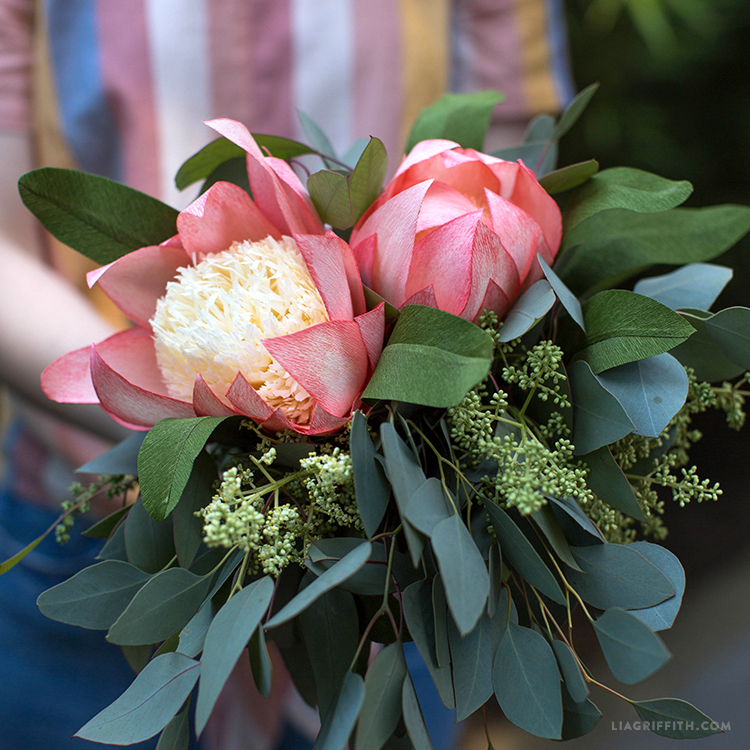 Make This Gorgeous Crepe Paper Protea Flower Bouquet! Are You a Crafting Pro(tea)? 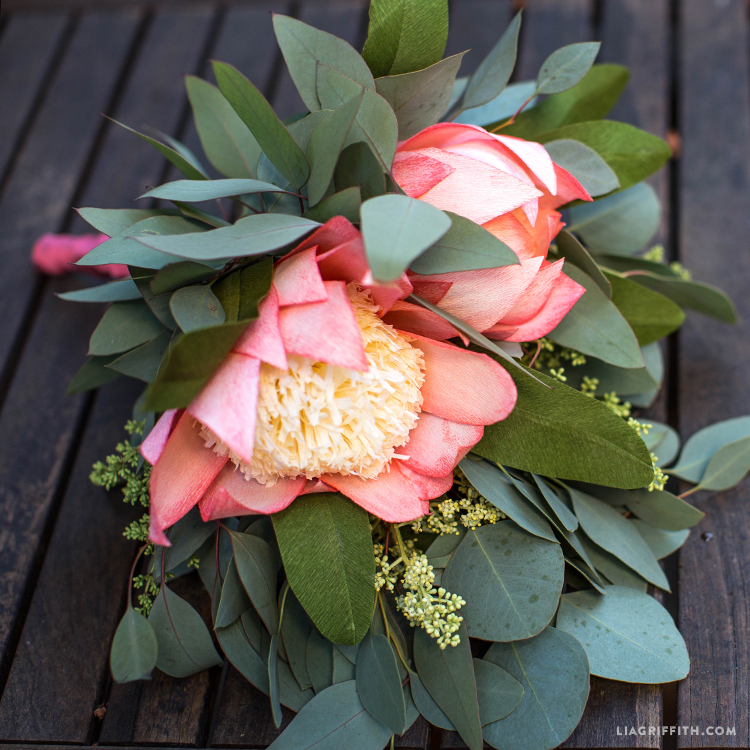 Nothing says summer quite like bunches of flowers! 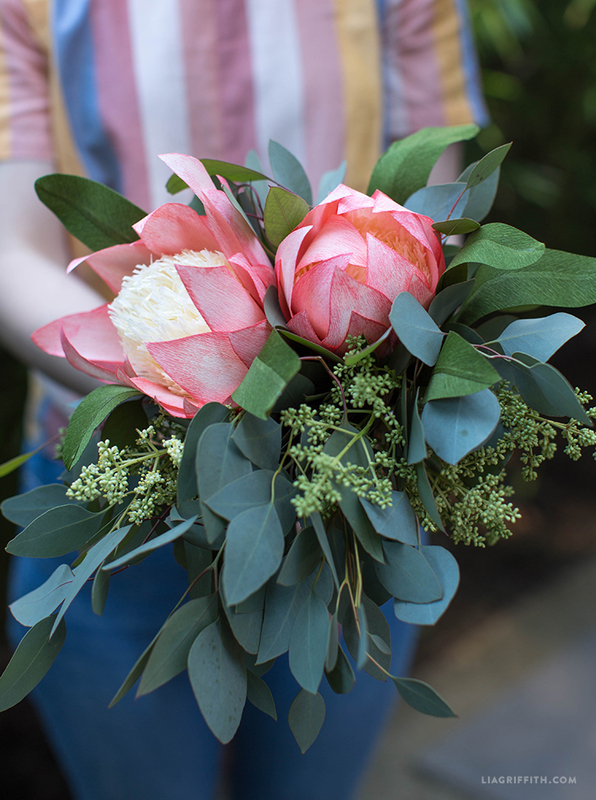 Our crepe paper protea flower works beautifully as a bouquet. 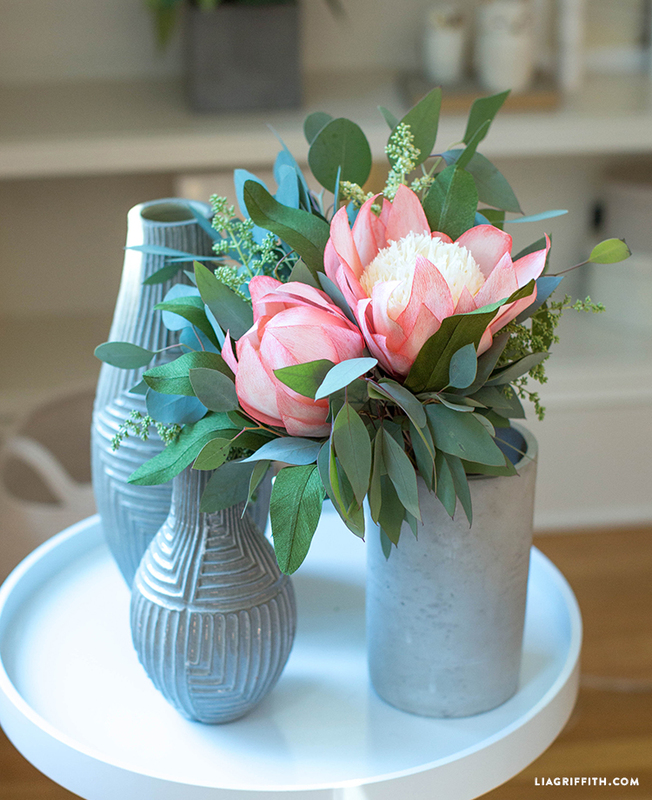 Whether it’s for a bride-to-be or for your kitchen counter, this project adds a splash of color to those long, sunny days. And the best part? They’re really easy to craft! Simply gather the tools and materials, then download the SVG or PDF template. 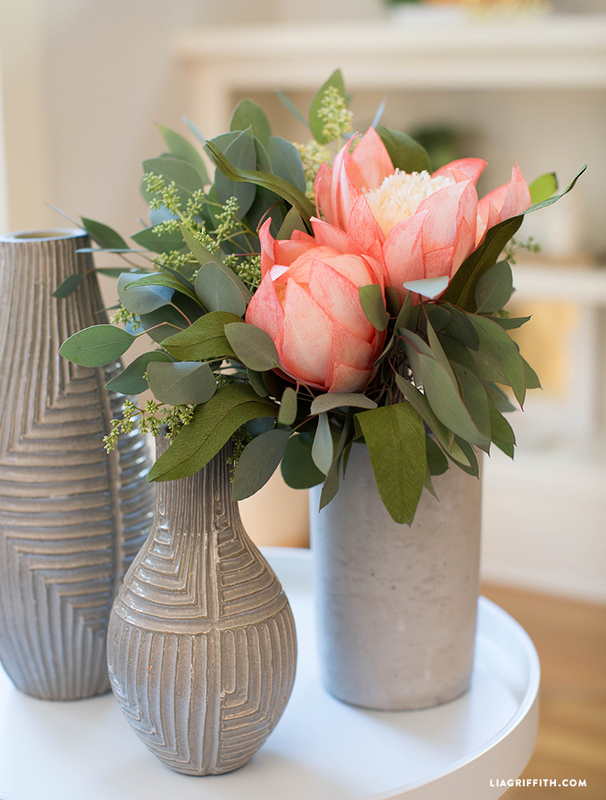 Finally, follow our step-by-step photo tutorial or download the instructions for later. Happy crafting! 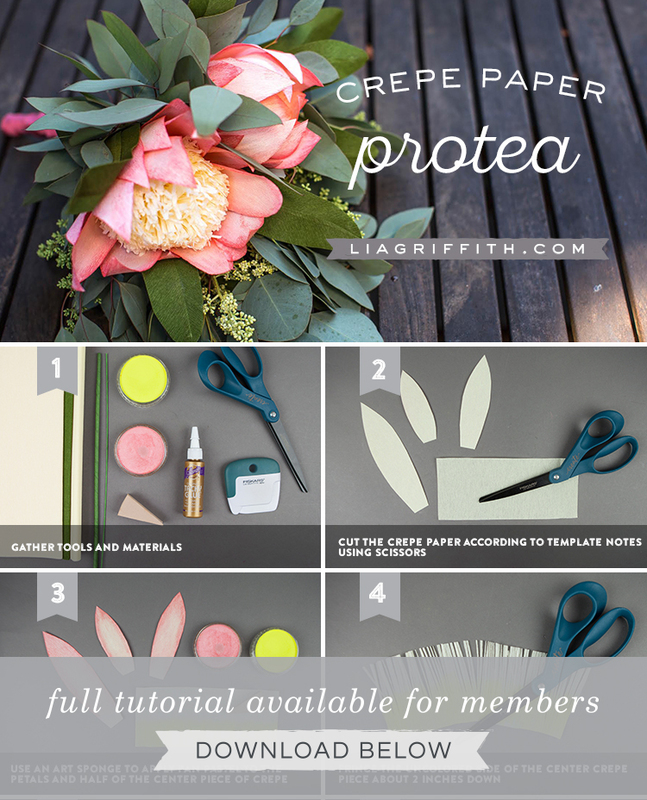 Cut the crepe paper according to template notes using scissors. 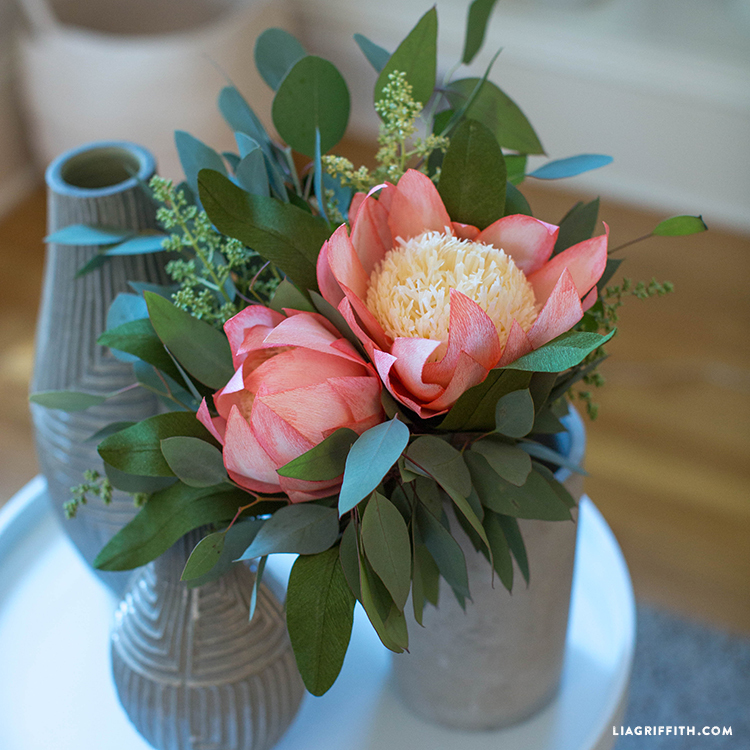 Use an art sponge to apply pan pastel to the petals and half of the center piece of crepe. Hi Janett! Could you send an email to hello@liagriffith.com? We’ll get this figured out! I can’t seem to find templates for leaves as show,n or any leaves templates. Hi Janett! We used a mixture of paper and real plants for this particular display. The leaves are real life eucalyptus leaves, we love eucalyptus for a filler! Thanks Lia, you are the best! Thank you Janett, we’re happy to help!